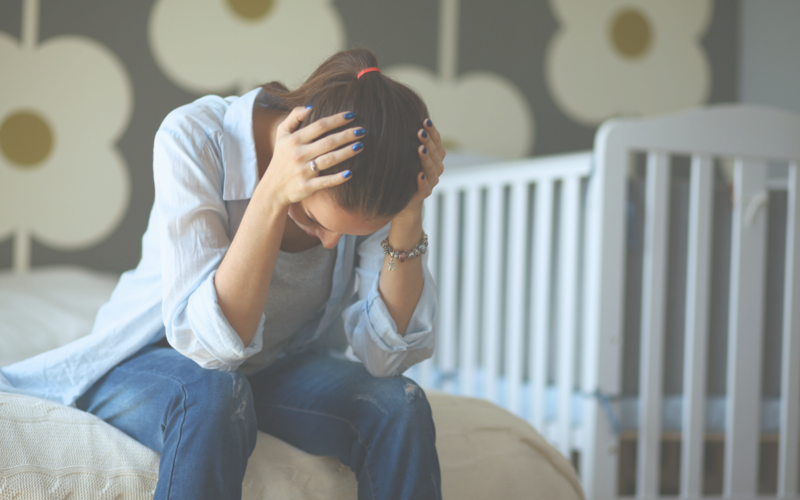 You may be wondering if your baby has colic if they seem to be crying constantly, especially in the evening, and they just can’t be consoled. You try everything; they’re not hungry or wet or tired. It’s a difficult feeling when you can’t seem to comfort your child no matter what you try. If your baby has been crying for at least 3 hours a day, for more than 3 days per week, for a period of longer than 3 weeks, it could be colic. The “Rule of 3s”, otherwise known as the Wessel Criteria, was developed in 1954 to help differentiate the condition of colic from other causes of long bouts of crying. Symptoms of colic also include: the baby seems otherwise healthy, the crying usually happens about the same time every day around the early evening, the baby may pass a bowel movement or gas toward the end of the crying episode, the baby’s fists are clenched and legs are curled up, and the crying is high-pitched and intense. If the pressure becomes too much and you need a minute to regroup, you may leave your baby in a safe place like a crib to step away for a moment. You’re doing your best, and that’s all you can do. A postpartum doula can also help a great deal in these situations and give you a much-needed break. Thankfully colic usually resolves itself by about 4 months, so take comfort in knowing that it won’t last forever! ← What is a Doula?